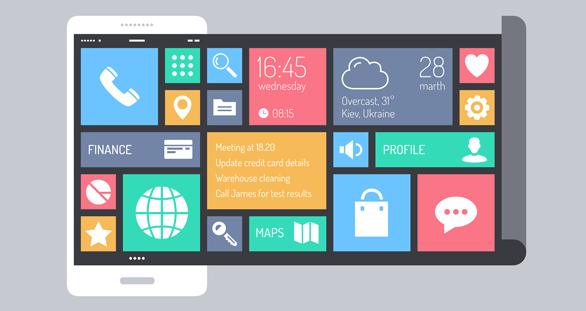 Have you ever made Windows 8.1 or Windows Phone 8.1 applications? If the answer is yes, you will spend great time with developing for Windows UAP. You need to write just one universal code and this code will run on PC, phone, tablet, IoT, Xbox and HoloLens. If you already have great application, you have possibility to migrate your application from Windows / Windows Phone 8.1 to Windows 10, just like we did with Windows / Windows Phone 8 applications when we upgraded to Windows 8.1 application. We get a lot of new stuff to improve user experience like new APIs, new UI elements, new tiles, Cortana update, etc..
First of all, the best thing is that Windows 10 APIs very similar like Windows 8.1 and Windows Phone 8.1 APIs with some new function, so you don’t need to start from zero. The Windows 8.1 APIs still work or a bit modified and we have new APIs. For example, now we can create calendar for the application and don’t need to make mess in the user private calendar. We get some new UI control element which ones help us in Android and IOS application ported. We get stuffs to create adaptive layouts. It’s make our job easier, we don’t need to make UI for each resolution or platform, we can solve easily in XAML with RelativePanel and VisualStateManager, or in code behind. One of the best function from Windows 8 is that we can use tiles. In Windows 10 tiles get an update, now we have possibility to make custom tiles with custom content, or if we want still can use the old tile templates. New tiles have XML structure and almost look like XAML. Cortana is the Windows personal assistant now available on PCs. Microsoft is working on Cortana more and more, they improving and upgrading continuously, they goal is that Cortana will be more user friendly, more personal, individual. Now I think as Windows 10 is obviously not finished yet, it will get lots of updates and it will be better and better, while developers will get more stuffs to make more great applications.